Searching for a used car can be stressful. Even after you’ve determined that the benefits of buying used outweigh those that come with buying new, you’ll still have to compare a wide variety of models and shop a number of different sources near Avondale. What’s more, even after you found a vehicle that you like, you may have no idea where it’s been or what it’s been through! Don’t fret: Cactus Jack's Auto has made finding your ideal used car as easy as one, two, three. Determine Your Budget: The first thing to do is figure out exactly how much you can spend. If you have money saved for the purchase, you’ll only need to worry about gas, insurance, maintenance, and other regular expenses. If you’ll be financing your purchase, make sure to include these factors when you’re calculating your car payment. Determine Your Needs: Narrowing down your needs and wants can be tough, but you’ll never find the right car if you’re investigating every model that looks like a good deal. Figure out exactly what kind of fuel economy, utility features, and performance you need in the kind of car you buy. Compare Models: Now that you’ve narrowed down your search to a certain class or segment, compare models in that segment to find the one that has what you desire. Take advantage of online buying guides and pay close attention to redesigns and model years. Search Local Inventories: Now that you know what kind of car you’re looking for, you’re ready to scour your local used car inventories near Mesa to find the best options around. Make a list of those cars that fit your needs and your budget, and then compare them to narrow down your choices. Start looking for vehicle history reports. Visit the Seller: Whether you’re purchasing from a third party, or you’ve decided to go with a vehicle on a dealership lot, you’re ready to take a look at the vehicle in person. Get under the hood, take it for a test drive, and ask as many questions as you can while you have the chance. Follow this used car buying checklist to eliminate uncertainty. When you’ve found the perfect car, you’re ready to make an offer! 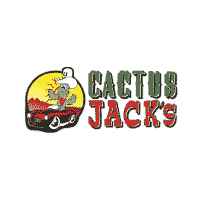 Having your financing lined up ahead of time can give you more leverage, but when you come to Cactus Jack’s, our Buy Here Pay Here service makes it easy to get everything done at once. Visit Cactus Jack's Auto Today! When you purchase your next used vehicle, there’s a good chance that you’ll also need to check your credit score and explore the types of insurance that are required in Arizona. No matter what you need, Cactus Jack's Auto near Surprise is here to help.